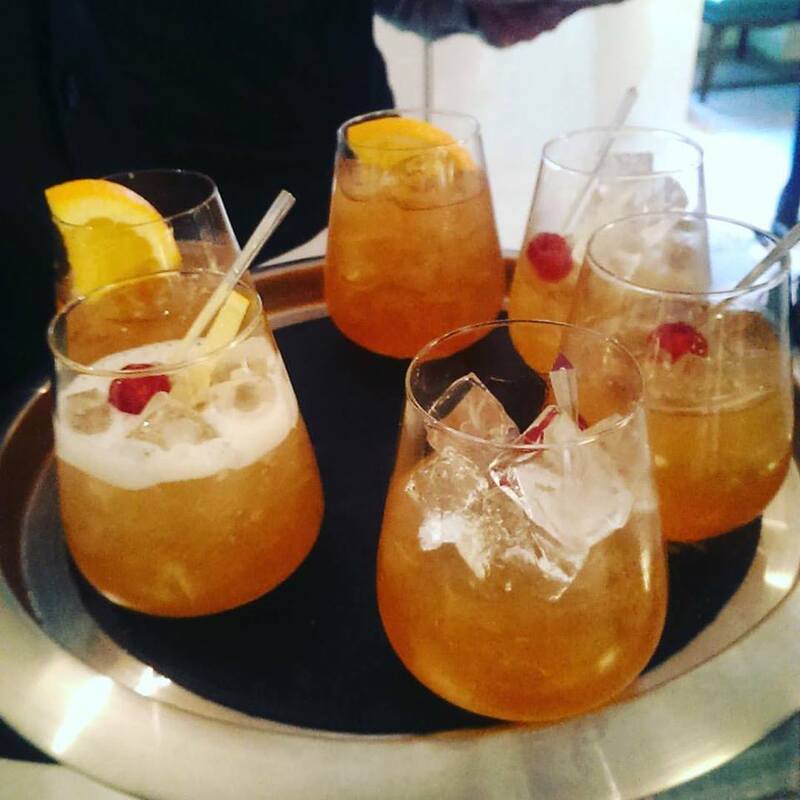 You think ‘amaretto’, you think Disaronno – a popular digestif, Disaronno and its widespread cocktail expression as the Disaronno Sour is known across the globe. 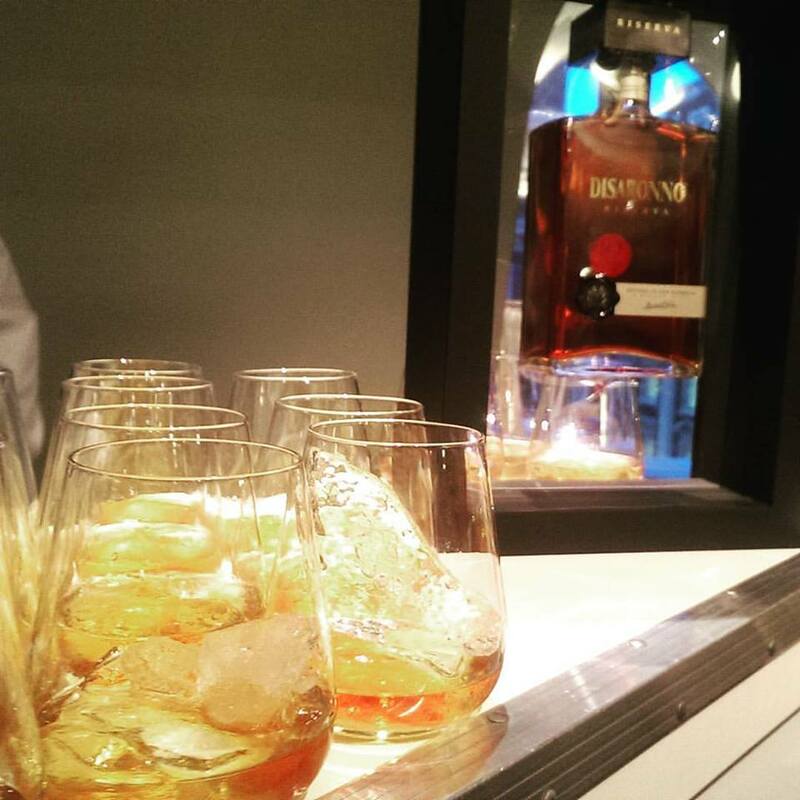 Nearly 500 years after the first bottle of Disaronno Amaretto was gifted by a local innkeeper to a student of Da Vinci’s in Saronno, Italy; CEO of Illva Saronno Augusto Reina travelled up to distilleries in the Scottish Highlands to hand pick a select mix of malts to prepare a light, sweet blend to merge with the intense almond and marzipan flavours of the well-loved amaretto. Beginning with sweet touch of spice softened by light hints of vanilla-almond, with stone fruit overtones and a finish that is peppery, recalling dried fruit with a touch of Madeira – the Disaronno Riserva is one of the first sweeter whisky expressions the Hoodooist has taken to this year. The Hoodooist prefers it served neat, instead of on the rocks – the slight warmth brings out the peach notes in the Riserva, perfect for a cold night digestivo. Packaged in a sleek wooden case, the Riserva comes in a bottle reminiscent of the Amaretto, but glossed with a minimalist, smooth design. 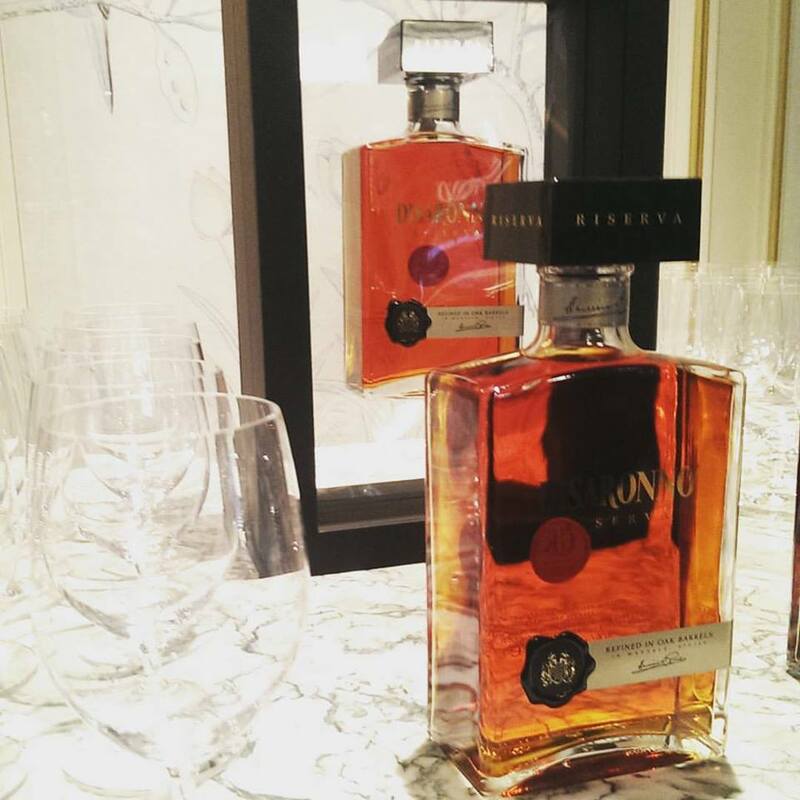 With only 10,000 bottles released a year, the Disaronno Riserva is limited to luxury retailers: as of this week, it is available at the Fortnum and Mason department store in West London at an RRP of £250. The island at the Southern tip of Sicily has been a centre of controversy for centuries. 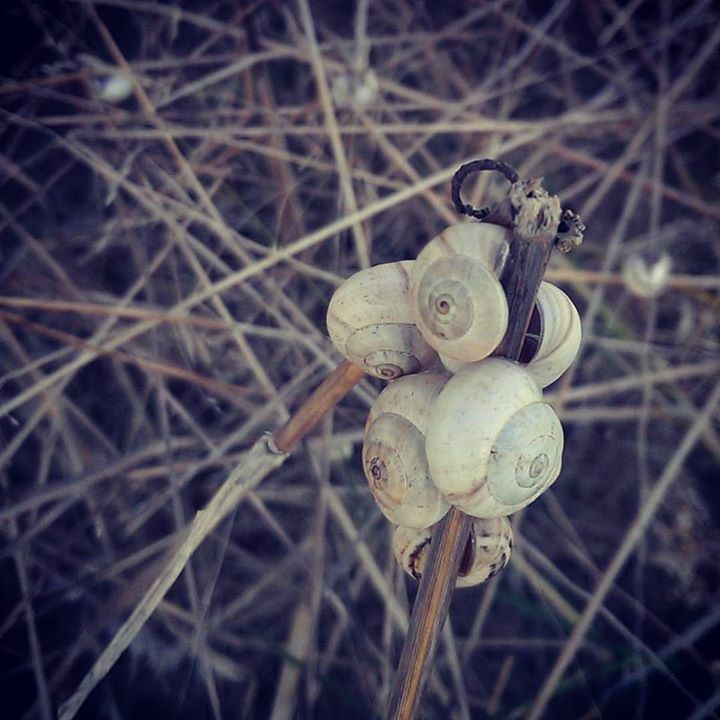 Repeatedly taken over by several cultures, from the natives, to Sikels, Greeks, Phoenicians, Moors, Arabs, Levantines, finally becoming part of Roman Empire – to the modern day war between the law and the mafia, Sicily is constantly roiling and in movement. It doesn’t seem so when looked down at from its many mountain ranges, its vineyards sloping up the volcanic black soil of Etna: their primordial stillness is ignorant of the wars of men below. But this clashing of cultures has given Sicily its rich architectural and culinary culture, and makes the island the Hoodooist’s favourite spot in Italy to visit over the years; earthy, fiery, and full of life. 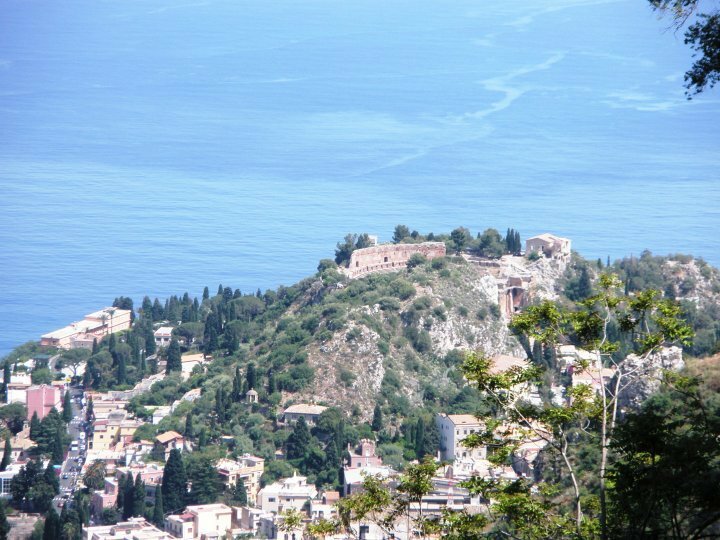 From tourist trap Taormina, grab a shuttle up the steep hill to the village of Castelmola. Tiny lanes made of steps and ladders wind labyrinthine up here in the clouds – and smoking Mt. 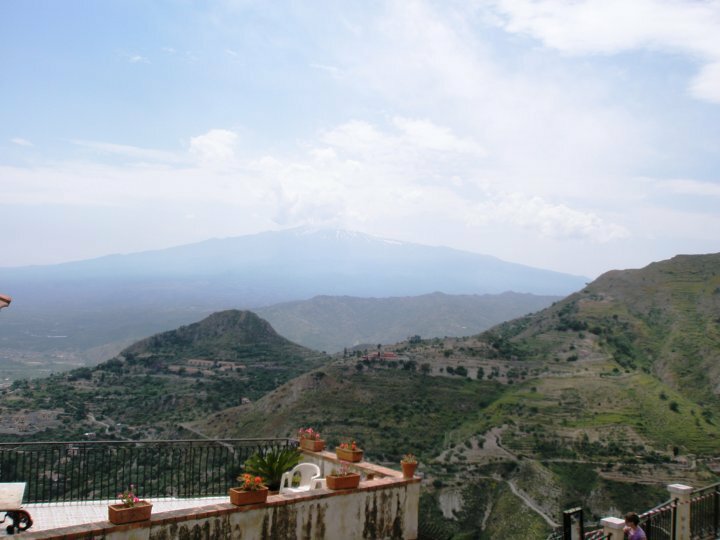 Etna dominates the massive landscape. Seats and tables hang over edges of rocky outcrops and hills, teetering over the vertigo-inducing heights. While here, after spending the afternoon wandering the streets, make your way to the infamous Bar Turrisi – notorious for its choice in décor. Legend has it the original owner, after years of a childless household, finally sired several sons, and thus dedicated the bar to Priapus, images of frolicking satyrs and enormous wooden phalli. A 75 cl bottle can be purchased at 25 Euros, with a choice of the regular, and the – um – themed bottle. Now we’re talking! Marsala is a beautiful little orange-hued town, and as the name suggests, wine is its lifeblood, and the canapes served while tasting will risk you filling yourself up before dinner! After visiting the Roman Lilybaeum with it’s mosaics, baths, snail covered fields and snakes, cross the street from the main entrance to stop by the Assud for lunch, serving up Sicilian classics like octopus with tomato, basil and garlic, as well as Sicilian takes on your classic hamburger made with Madonie beef with a glass of Grillo. On the way out, grab some of their organic chocolates, designed for various need from ‘Energy’ to ‘Lust’, and continue on Via XI Maggio to the city centre. En route to the city centre with its Praetorial Palace and massive cathedrals, pop by one of the town’s many enotecas. 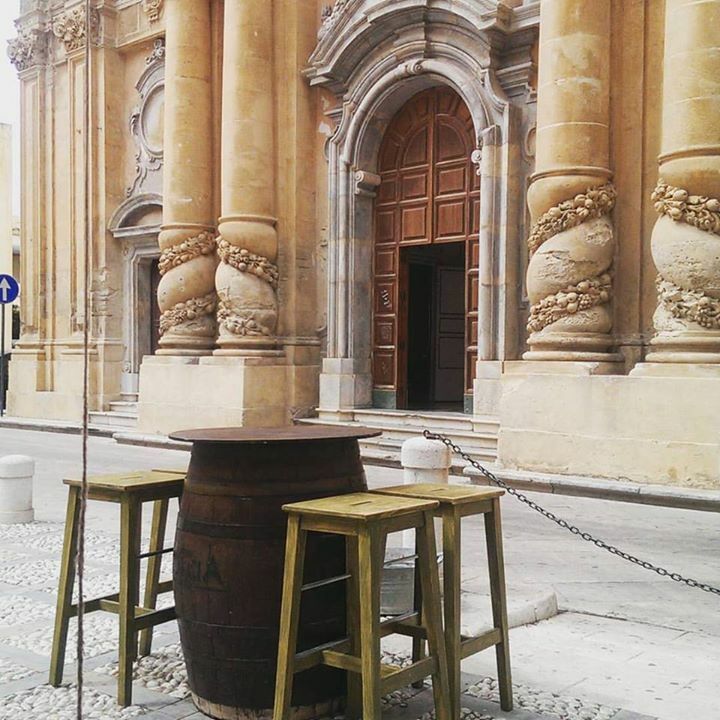 Enoteca Lo Sbarco, like the others in town, will take you through various Marsala wines, while explaining the production process, and serving various canapes paired with each glass. 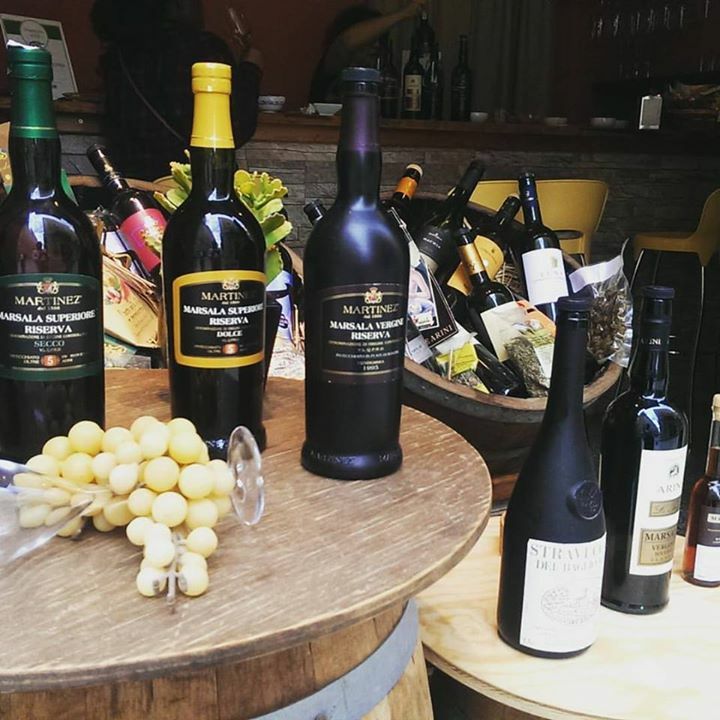 The owner loves her some Martinez Marsala wines, particularly the traditional dry 20 year old Marsala Vergine Riserva that sells for 27 Euros, and the sweeter Marsala Superiore Riserva Dolce that the UK is more acquainted with for about 14 Euros. Why not grab yourself some Sicilian delicacies here before leaving? No tourist can resist the incredible Crema di Pistacchio (“It is Pistachio Nutella!” She announces, and she isn’t kidding. You will eat whole jars at once), or the almond Crema di Mandorla. And don’t forget the local Marsala speciality: Gelo di Marsala Superiore Dolce DOP, a marmalade made using sweet Marsala wine! After an afternoon aperitivo of Ciccio wine spritzer at the beautiful deli Ciacco Putia Gourmet outside the Chiesa del Purgatorio and its chuckling fountain (http://www.ciaccoputia.it/), make your way down Via Abele Damiani to the Panificio Ragona. 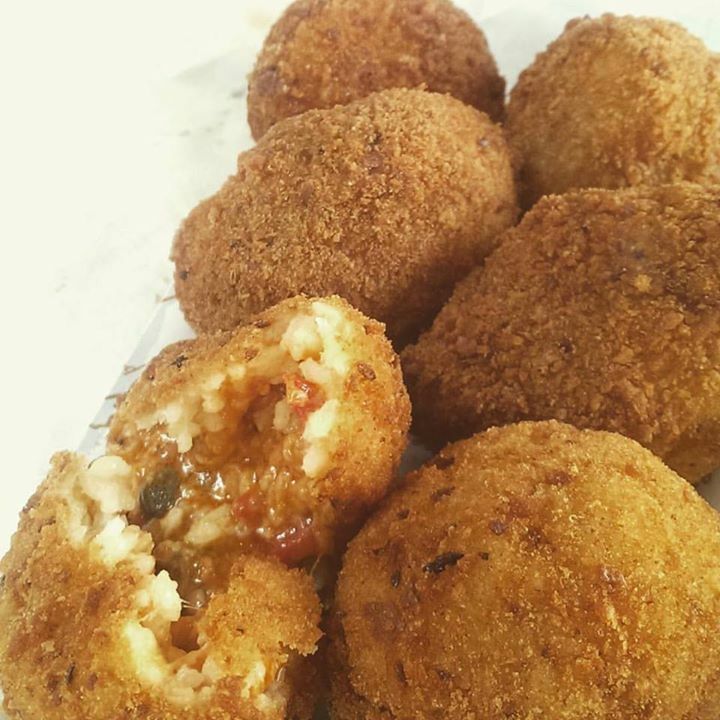 This little family-run panificio is a hit with the local grans, who flock to buy their Marsala-renowned arancine, probably the best in town! Selling about a dozen different arancine, which choices from prosciutto, to eggplant, to 4 cheese and pistachio, you’re spoiled for choice! 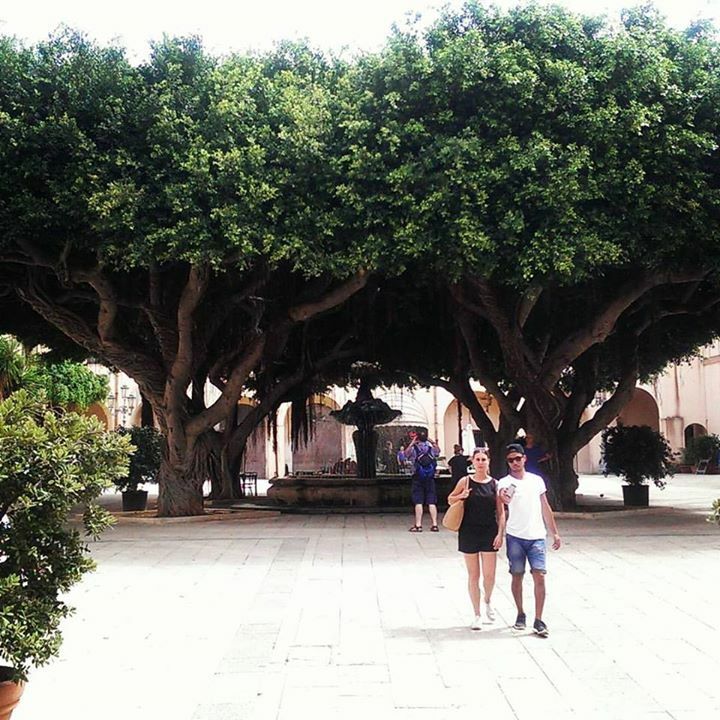 Grab yourself a batch, and maybe like us, stumble into the town hall square, where four enormous fig trees form a canopy over a fountain of the wine god raising the grapes that keep the city alive above his head. Before you leave! 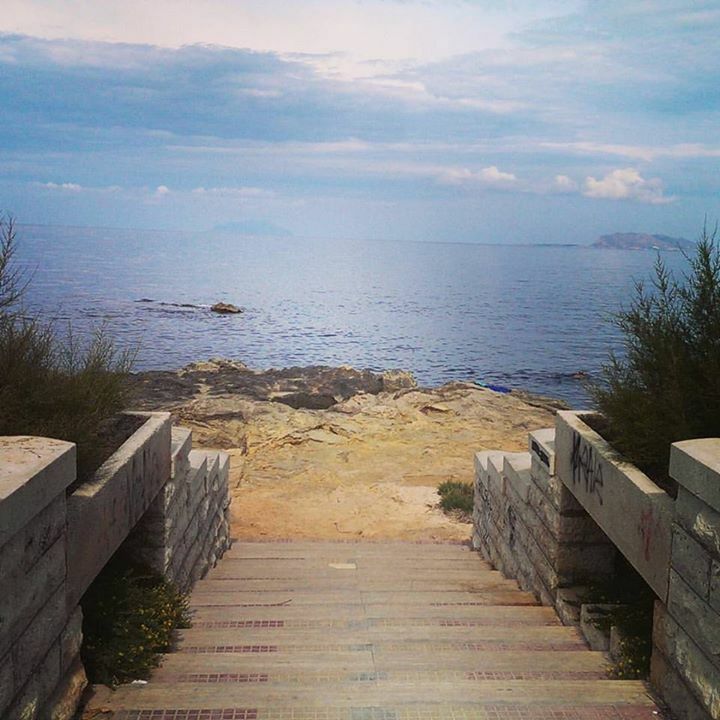 After watching the sun set over the Western coast, take a walk down Via Giuseppe Garibaldi, casually called wine avenue, with all the enotecas sprawling onto the street. Pop by La Sirena Ubriaca, and sit at the bar, for a wine tasting with the wonderful Sonya and Silvia. Seated at the bar, you wouldn’t have to order a plate of nameless canapes, instead you will be served each crostino that is paired with the wines, from orange and tuna, to garlic and almond pastes, to bottarga topped with sun dried tomatoes and pistachio pesto. Over the next few hours, this ended up becoming dinner as Sonya allowed us free rein over the bread and toppings. Wines and unlimited bites came to 30 Euros each (22 quid? Pretty decent deal for four wines and enough food to make dinner. Canapes are a food group now). Palermo is bonkers. Colourful, wonderful, and bonkers. 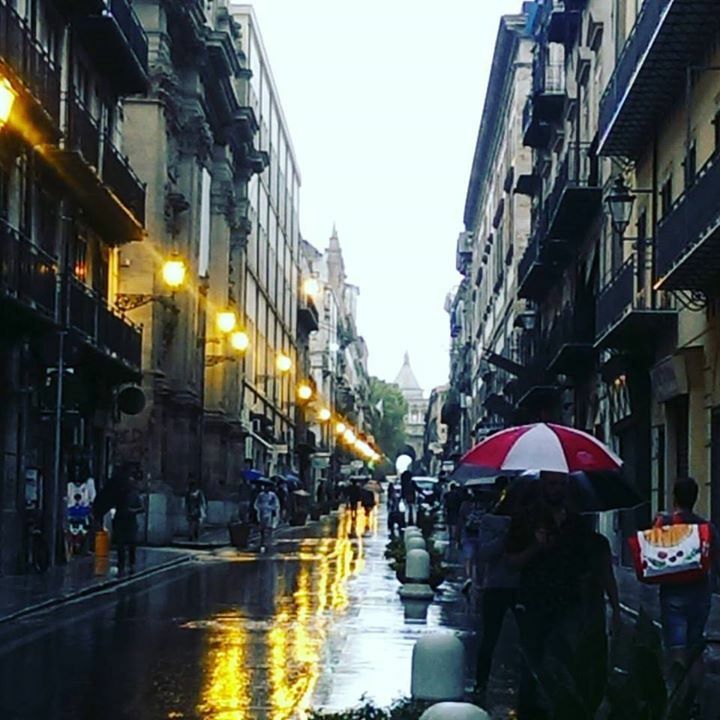 Palermo is literally the Habanera from Bizet’s Carmen. Type As beware, since plans rarely go as expected in Palermo. Notably, Palermo observes siesta far more religiously than the other cities the Hoodooist had visited on the island. Siesta can vary from 1PM to 4PM, or from noon to 7PM. When a restaurant says they are open from 8PM to midnight, what they mean is they’re open at the time if they feel like opening. Churches will lock their doors on the reverent. Always have a plan B and nurture your flexibility. Stop lights really don’t mean a thing, as cars will just keep driving, so just step out on to the road to stop them. Be confident about it, and you won’t get hit. Public transport can be a bit dodgy – cabs can only be hailed at taxi ranks which are found at popular sites (be sure to decide on the price before entering, and make sure you ask for change before paying), and even locals will warn you about safety on the buses. Oh, and don’t take the rickshaws or horse carriages (Londoners already know this, though). 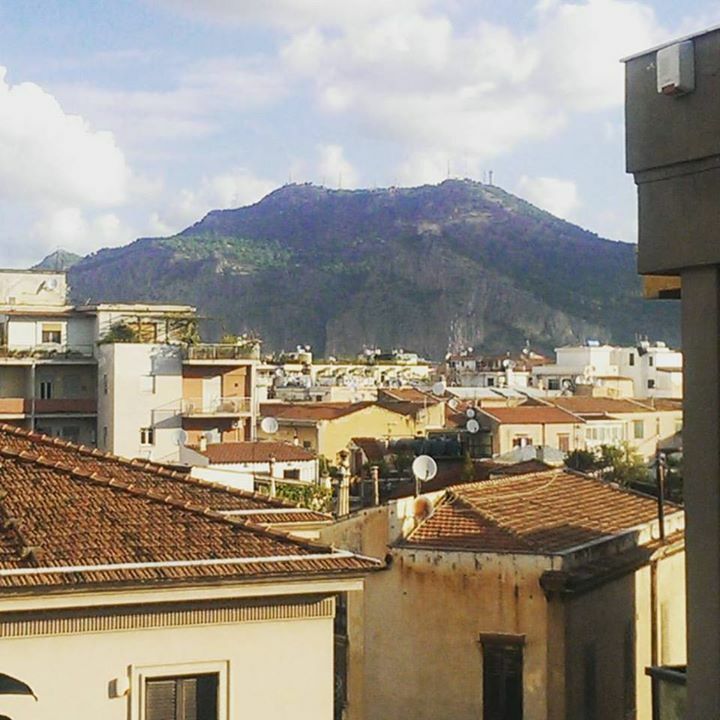 Really, being assertive is the only way you can make it around Palermo. 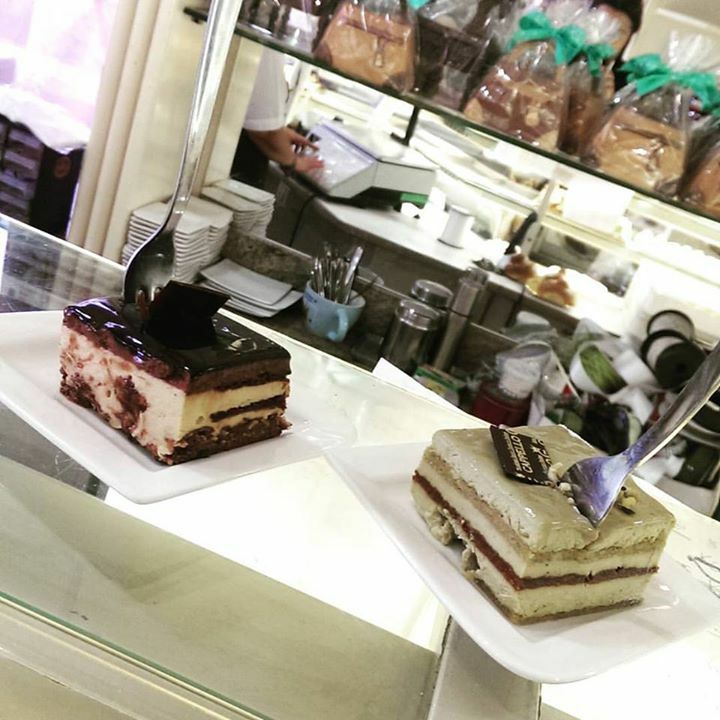 If you’re in the area of the Teatro Massimo or the Politeama, make sure to pop by the little panificio I Cuochini. Now, the venue might not look like much, but grab some tamballini di pasta, paticcino and arancine – deep-fried comfort food, basically. I Cuochini hasn’t been open for nearly 200 years for nothing! Walk through Vucciria Market and find yourself in the centre of the city at the Quatro Canti, surrounded by its churches, palazzos and glorious Fontana Pretoria, the one major site in Palermo that harks to its Greco-Roman past. If you’re an architecture buff, see if you can contain the overwhelming number of cathedrals here are you wander the tiny lanes that spread like ivy over, under and into each other, occasionally bursting into markets and church squares. 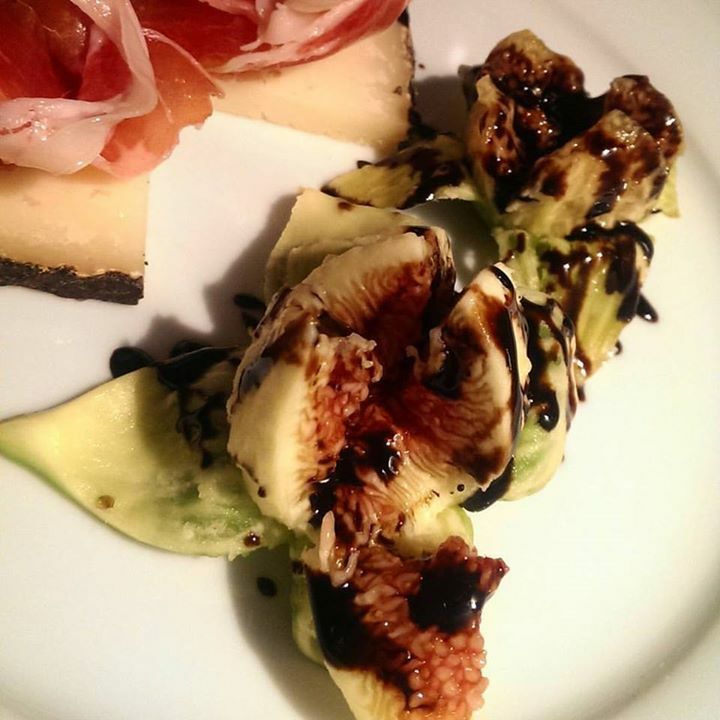 Grab lunch at the Locanda Del Gusto, taste their inventive use of vegetable ash and charcoal, or spleen over focaccia, as well as more traditional eggplant parmigiana, paired with Etna wine. 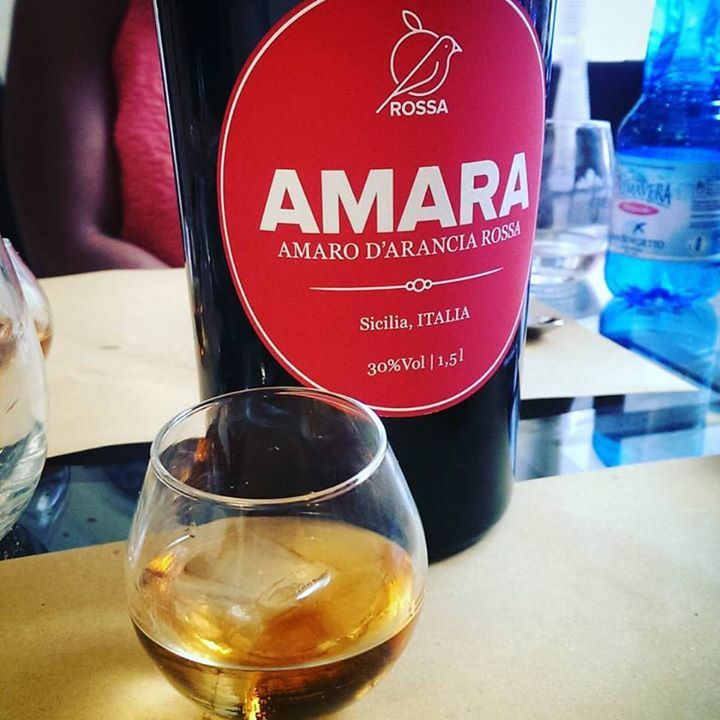 Complete your meal with an orange biscotti along with bitter orange Amara digestivo. Service is wonderful, and server Franco is delightful, and will walk you through the menu and do his best to ensure a great lunch. Worth popping by. 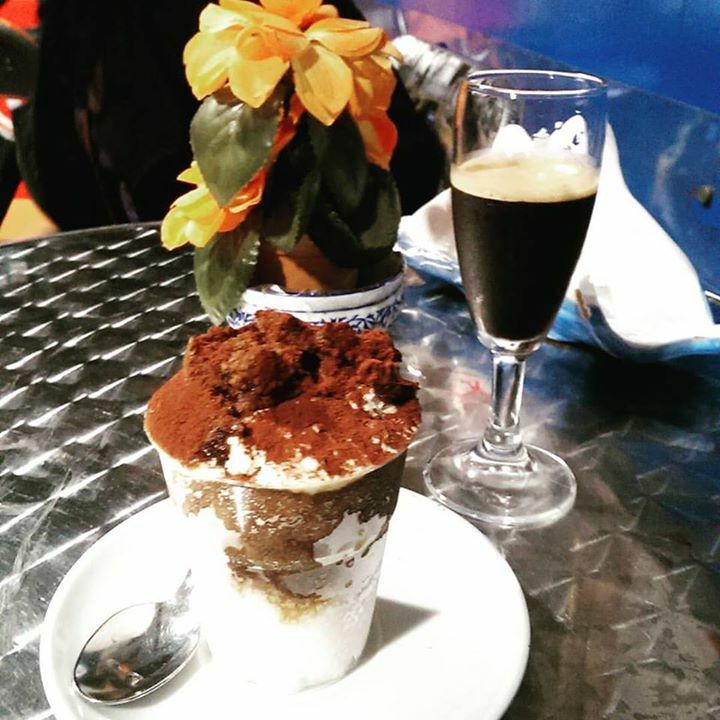 Before reaching the Palermo Cathedral, make sure to pop by the Caffeteria del Corso on the (mostly) pedestrianised Via Vittorio Emmanuele for the café’s popular granita con panna. From mixed fruit, to watermelon, to almond and coffee – there are several flavours to choose and mix, and top with sweet ricotta. 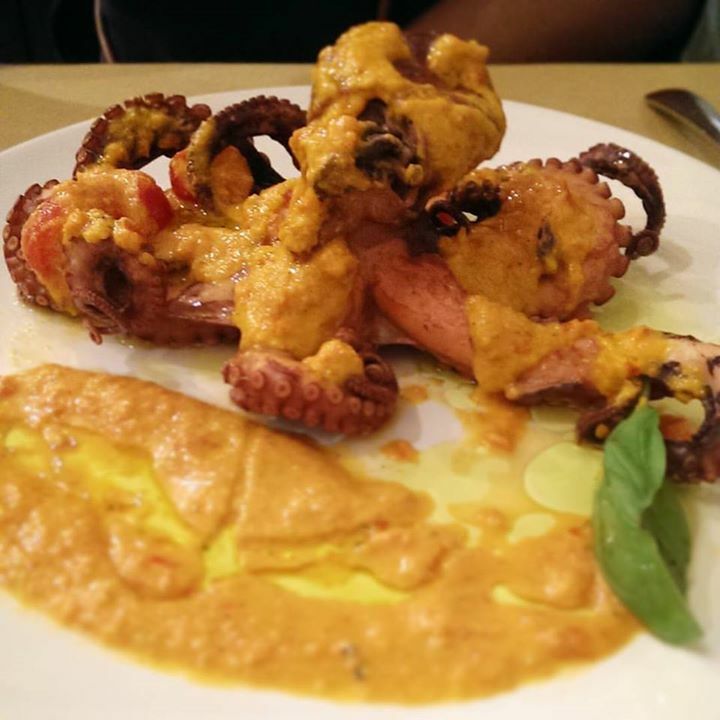 Turning South, wander through the noisy Ballaro Market with its huge catches of swordfish and squid, and eventually find yourself out West in front of the Byzantine sector of Palermo. The Arabian influence on the architecture of the San Giovanni degli Eremiti is unmistakable, and wander through the beautiful, maze-like gardens – bursting with cacti, hibiscus, palm trees that canopy over the crumbling stone archways and pillars. Do take the hard hat provided if you climb the bell tower (you will need it), and though it is short, it demands far more energy than you’d expect (this is coming from a compulsive bell-tower climber). Primarily because of the difficult descent, where your head with repeatedly hit the step above you. Not for anyone with weak knees. However the view from the top is to die for. Do resist ringing the bell. Do not run like idiots through the back like the Hoodooist to escape angry priests. 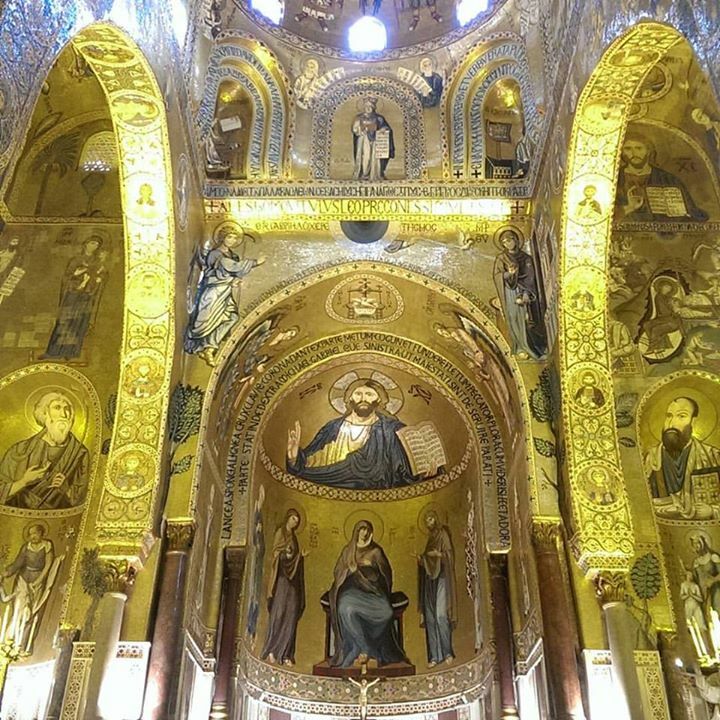 North is the ludicrously beautiful Palatine Chapel and Norman Pallazzo to strike you dumb with its beauty, and immediately north of that, a must visit: the Pasticceria Cappello on Via Colonna Rotta. You are making a big mistake if you miss this. Besides the exquisite service, the Crema di Pistacchio cake, the chocolate mousse with cereal base, and those cannolis are to DIE for. Grab an espresso as well, and enjoy the sugar. When the sun sets, go down to the Western Kalsa, by the port and botanical gardens, to see Christopher at the Bump Cocktail Bar on Via Cagliari – expect a smashing Dry Manhattan with Rye, or a Lagavulin Old Fashioned with a smoking sprig of rosemary, or ask him to knock something up with Cynar to get a fantastic Sicilian twist on a Julep. 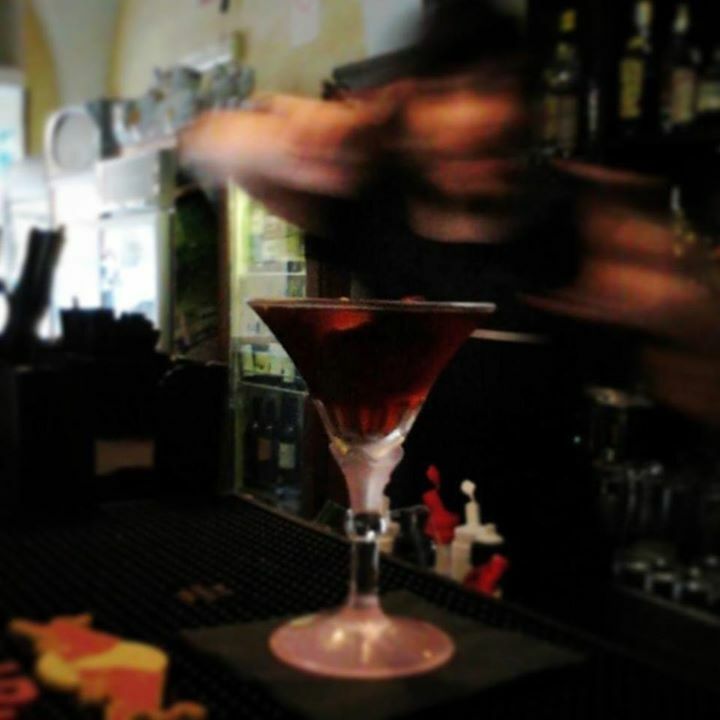 Having travelled Europe for cocktail tours, chat with him about fellow London bartenders from Luca of the Nightjar or Palermo-hailing Conigliaro of London’s 69 Colebrooke Row, Bar Termini, Seymour’s Parlour, or Zetter Townhouse Lounge. Christopher is a wonderfully skilled bartender who would not be amiss in a cocktail bar in London, and I wish him and Bump the best! Move onto the Palermo equivalent of Soho at Via Chiavettieri, where several bars spill out onto the pavements serving small antipasti with Negronis (for 5 Euros), wines and beers, with the occasional live music, a fun spot to hang out and get smashed before a late dinner (dinners in Sicily are wonderfully late compared to London). 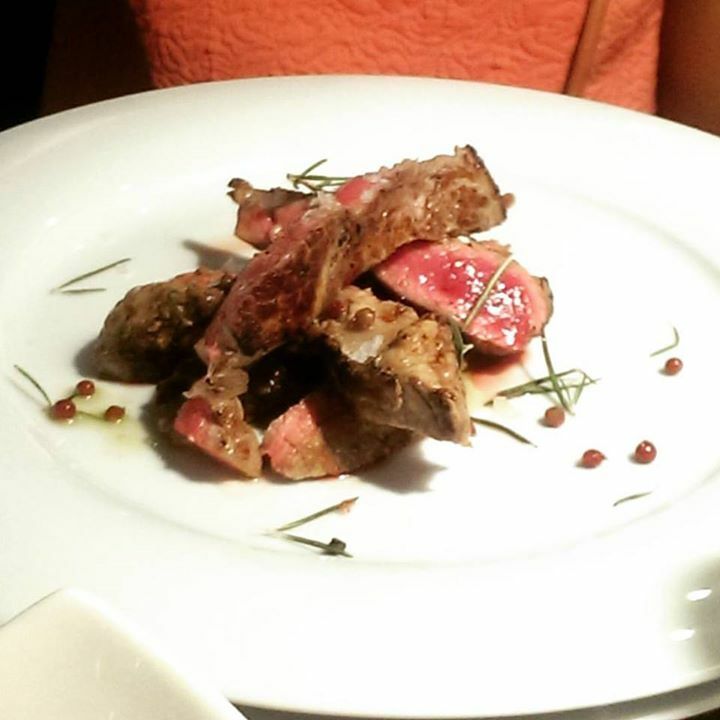 At midnight, stumble into Carizzi d’Amuri for a fig and ham antipasti, and a gorgonzola, mushroom and truffle smothered steak cooked to perfection – a restaurant I would envy to have in London. Service is excellent, and since by now its 2AM, do ask the bar to call you a cab back to the hotel. Or perhaps pop down to Kursaal Kalhesa, a coast-side bar/restaurant/club/art-space that would fit directly in Shoreditch, for a sea-urchin tagliatelle and Martini. A cavernous venue built into follies and caves by the seaside, opening up to the night sky. The by ways and villages that sprawl across the salt pans, orchards and mountain ranges of Sicily still have more to offer, and the Hoodooist is hellbent on devouring it all. If you dream of the centre of the old world, you may have found it. Just make sure you’ve got your tropical strength insect repellent on you. Seriously, we’re not kidding about that. 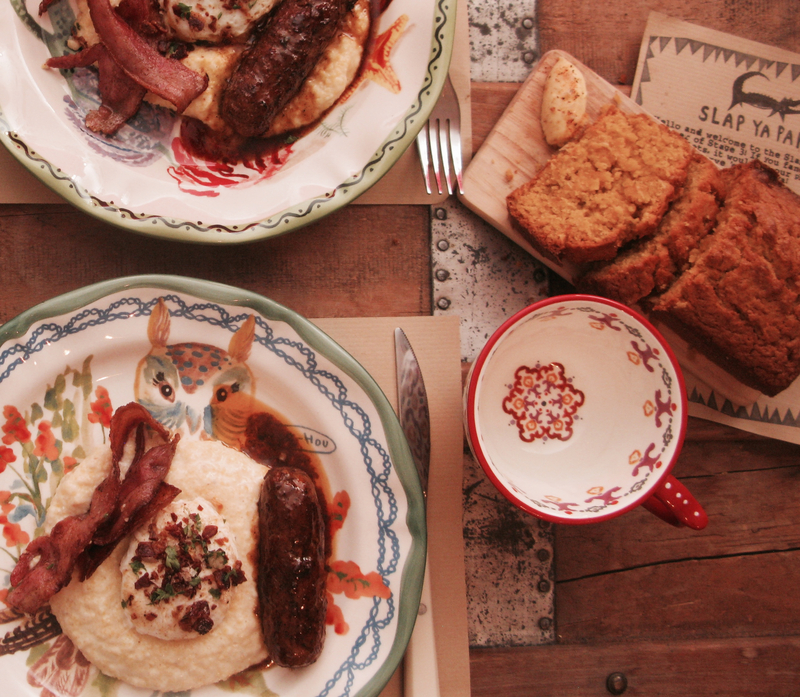 Purveyors of all things Louisiana – from soul food to jumpin’ live music – Slap Ya Papa! (‘because he never cooked you food so good!’) is bringing their red-lit New Orleans inspired world to the Victorian railway arches at The Vaults this September with a two week festival of events to launch The Vaults Kitchen, a brand new restaurant space at London Waterloo’s subterranean hub of arts and culture. Throughout the residency, the first in a rolling series of pop-up restaurant concepts at The Vaults Kitchen, Slap Ya Papa will team up with kindred culture collectives artists Marbles and Ware, and live bands Riot Jazz and Kansas Smitty to offer a programme of festivities to run throughout the day and late into the night, showcasing the best of a bubbling new wave of the most soulful Deep South food, art and live blues, jazz, funk and soul music in London. 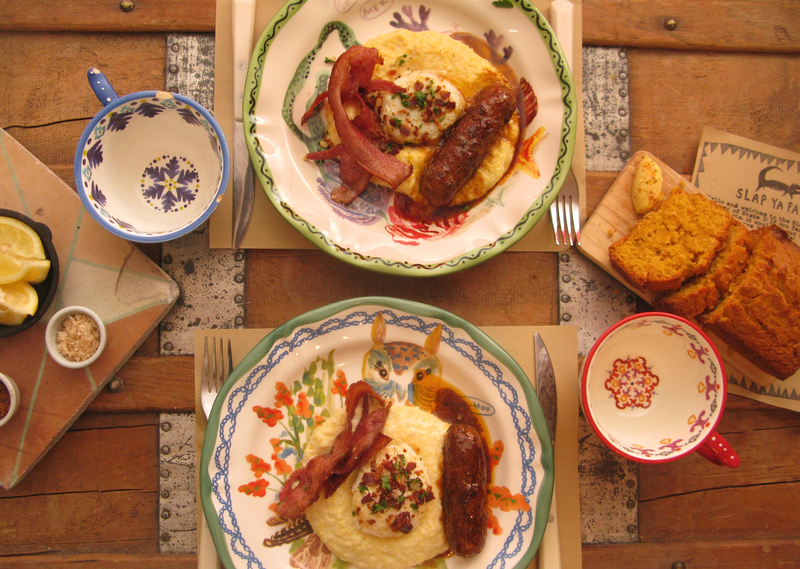 The Hoodooist’s experience at the Egg, Bacon, Grits…SAUSAGE Brunch served up aforementioned dish with a wonderful smattering of green onions and spices with cornbread and sweet potato muffins with the most wonderful honey butter. Better than that, though, was the magic Laura was concocting behind the bar – as blues played in the painting-adorned hall with its communal dining tables. After the first sitting, diners are led to the bar area to take on the rest of the cocktail menu. 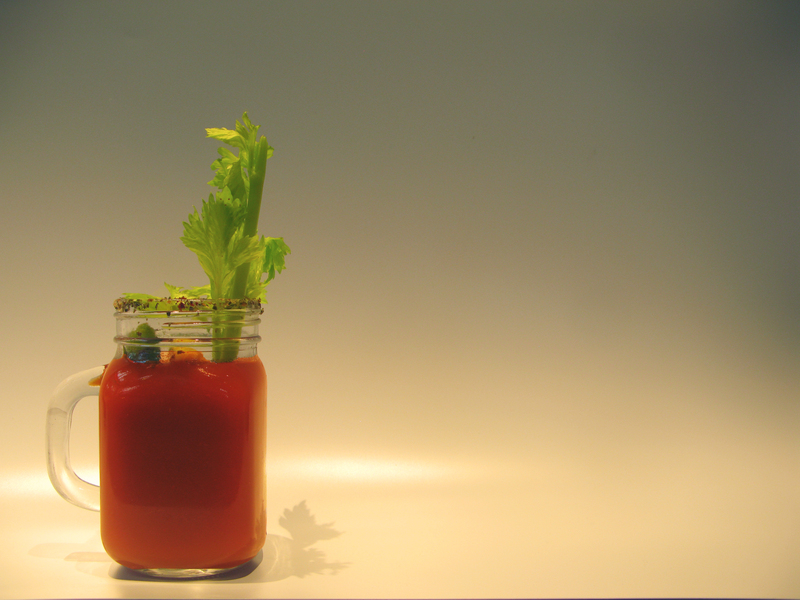 The Bloody Derby brings Four Roses Bourbon with “a secret mix” blending Tabasco sauce, cayenne pepper, Amontillado sherry, Picklehouse pickle juice and tomato juice. 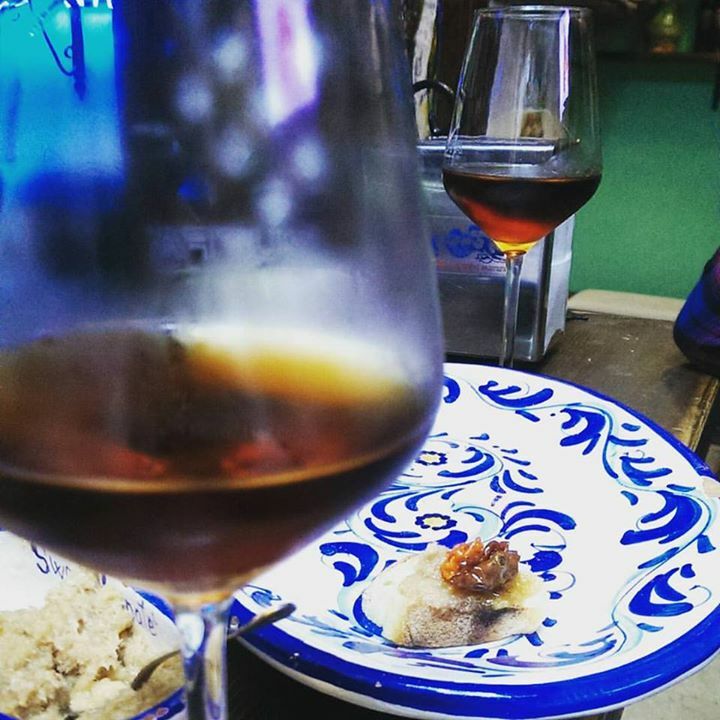 The Amontillado is what makes this for that bite of dryness that goes so well with the the Picklehouse and cayenne. 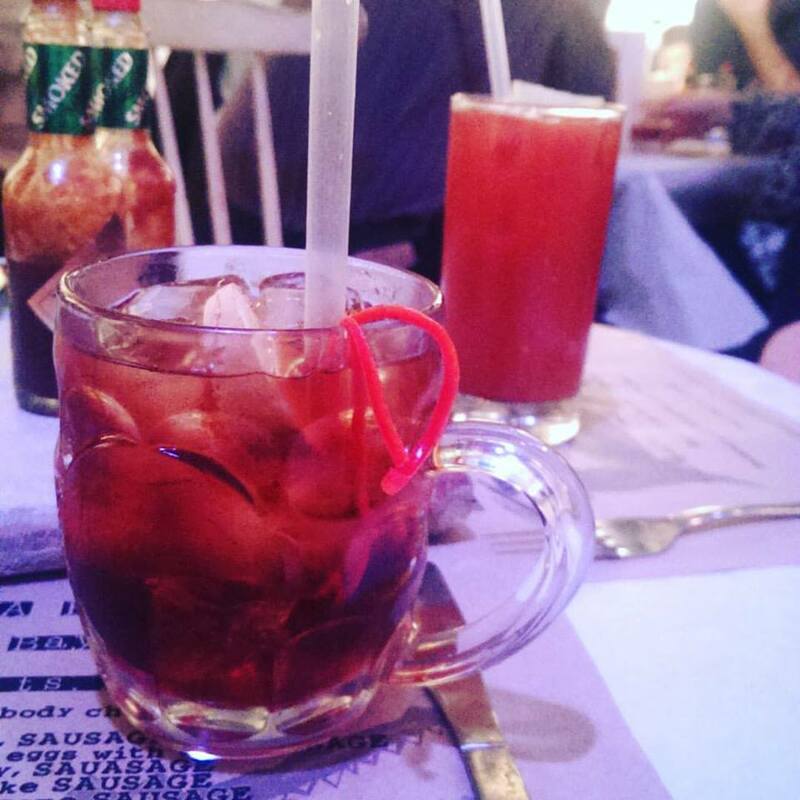 A fantastic Bloody Mary twist. 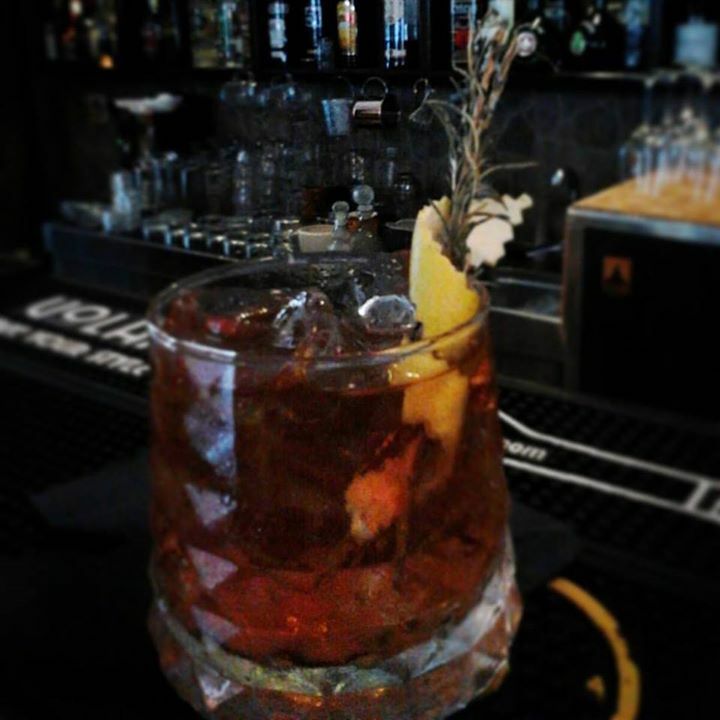 The Deepsouth Widemouth has vanilla-infused Four Roses Bourbon, fresh chilli, ginger shrub, Amaro and Campari reduction for a smooth aperitif. 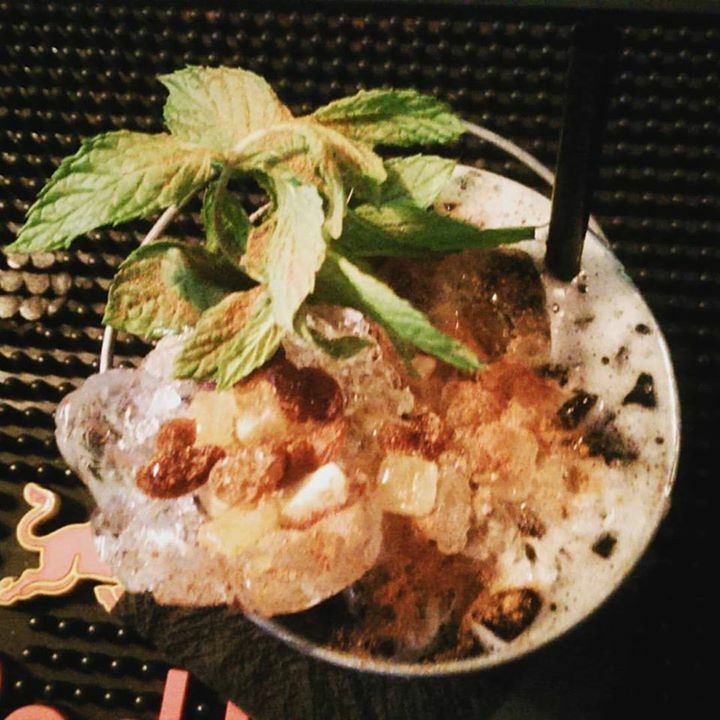 It’s got a real kick, this one, long, dry, with a hint of sweetness from the vanilla and ginger shrub. If you’re afraid of Campari, don’t be, the reduction grants it only a hint of the flavour. Enjoyed this drink, though takes a while with its strength and dryness. Finally, the Missy Sippy: Vodka, Kamm & Sons, lemon, mint, and sweet potato syrup. Now here’s one for the sweet tooth – the ginseng of Kamm & Sons lends to a musky sweetness, as does the syrup, luckily the lemon lifts the drink up a bit (considering its thickness). Personally, it does well as a liquid dessert. Service is swift, and the smaller space makes it easier to grab attention of the staff – at the bar, expect conversation and quick service from Laura dishing out those Bloody Derbys! Event info and ticket link below! As they say in Nola – Laissez Les Bons Temps Rouler!